At the forefront of this trend is JE Dunn Construction. 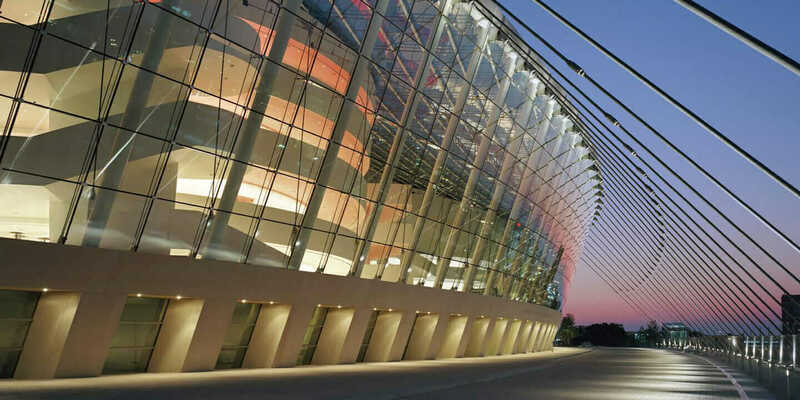 Working closely with Peckham Guyton Albers & Viets, Inc. Architects (PGAV), the company recently completed the delivery of preconstruction services on the $62 million Lenexa Civic Center, near Kansas City, Missouri. When complete, the five-acre mixed-use project will include a 100,000-square-foot community center, a five-story parking garage, and 100,000 square feet of space for a relocated Lenexa City Hall and retail tenants. The civic center also will house several municipal departments, a 250-seat forum for the Lenexa City Council, and a public art gallery. But what is remarkable about the project, according to John Jacobs, chief information officer at JE Dunn Construction, is how the company’s new cloud-hosted visualization and pricing interface has shaved significant time and cost from the project and is revealing its potential to unsettle the siloed, incremental way in which buildings are designed and built. “In traditional preconstruction, the architect hands off designs to a contractor for pricing,” Jacobs says. “Then the architect puts his pen down and waits for pricing confirmation prior to proceeding further with design progression. Instead, we provide full document coordination and pricing in real time, so the entire team can keep moving forward continuously. Rendering of Lenexa Community Center, which is one part of the $62 million Lenexa Civic Center project. Courtesy JE Dunn. During the 19 weeks of preconstruction on the city center project, JE Dunn Construction delivered 24 estimates, according to Jacobs. The city center team was able to pull $11 million, or roughly 15 percent, from the initial estimate without significantly impacting project scope. The team was also able to remove at least 12 weeks from the expected preconstruction schedule, and it is now optimistic that it will meet aggressive budget and schedule limitations to open in 2017. Just how JE Dunn Construction achieved such results will be part of what Jacobs has to say at Autodesk University’s “Innovation Forum: WIIFM—What’s in It for Me?” at The Venetian in Las Vegas from 3 to 4:15 p.m. on Tuesday, Dec. 1. More broadly, his focus on the panel—hosted by Roman Mars, creator and host of 99% Invisible—is leveraging technology and “lean data” to build better. 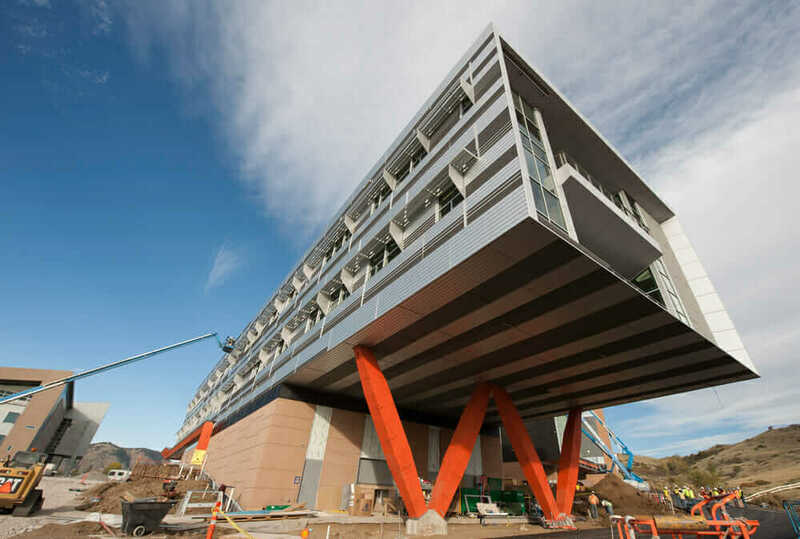 Construction of the new Energy Systems Integration Facility (ESIF) at the National Renewable Energy Laboratory (NREL) in Golden, Colorado. Courtesy Dennis Schroeder and NREL. In the case of the civic center, Jacobs credits two tools—the Dunn Dashboard and embedded LENS pricing software—for a leaner, more coordinated preconstruction approach. The capabilities offered in LENS include visualizing conceptual estimates, linking them to the earliest possible versions of the model, and filling in the expected design-detail gaps. JE Dunn partnered with Autodesk to harness and maximize the value of information-rich models, combined with cutting-edge visualization technology to connect design data to elements of estimates. The entire team has the information visibly available to make decisions like structure type, skin type, and total available square feet earlier than they ever have before, and faster than they ever could before. Dunn Dashboard then allows everyone involved to collaborate in unique ways to quickly move forward to take the early conceptual designs and turn them into buildable, fully coordinated designs. With all stakeholders working off of the same sheet of music, the entire team can not only focus on the essentials but can also expand its view to ensure the most sustainable project possible is created. 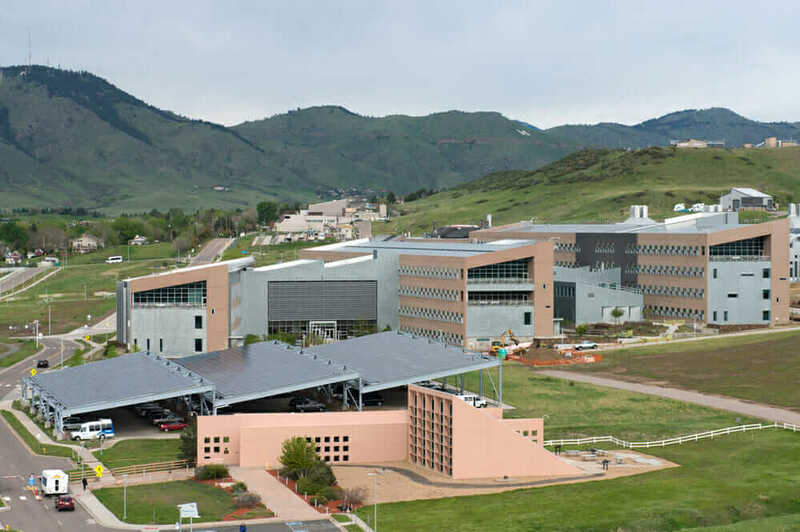 Aerial photo of the NREL South Table Mountain campus. Courtesy Dennis Schroeder and NREL. “Everybody has a different need and stake in the game,” Jacobs says. “We believe this technology addresses those. Rather than answering one need only, it’s a comprehensive system that improves the experience for everyone. We use Microsoft’s SharePoint as the foundation for collaboration between all parties and all necessary applications. Then, with assistance from Autodesk Consulting Services, we built LENS and other related tools to make a system that is easy to use, comprehensive, efficient, transparent, and interactive. And it’s not just an out-of-the-box mobile app or exclusive software package, Jacobs is quick to point out. At JE Dunn construction sites, kiosks that house computers inside weatherproof steel boxes are linked to wireless routers, giving tradesman without smart devices instant access to the designs and all key project information. Content is restricted according to user roles on the project; architects retain complete control of the evolving design as it continues through completion. Authorized users contribute or consume related information through Dunn Dashboard, and all key content is available from this single source of truth. Eventually, when the building is turned over to the owner, the information needed to run the building—warranties, training documents, how the thermostat works—is delivered in a comprehensive, accessible format as a sort of virtual owner’s manual. The Lenexa Civic Center is far from the only JE Dunn project on Jacobs’ radar, with almost 600 active projects currently using Dunn Dashboard. The company is at work on a campus project for the health-information technology firm Cerner Corp., a $4.45 billion project in Kansas City intended to house 16,000 Cerner workers within the decade. 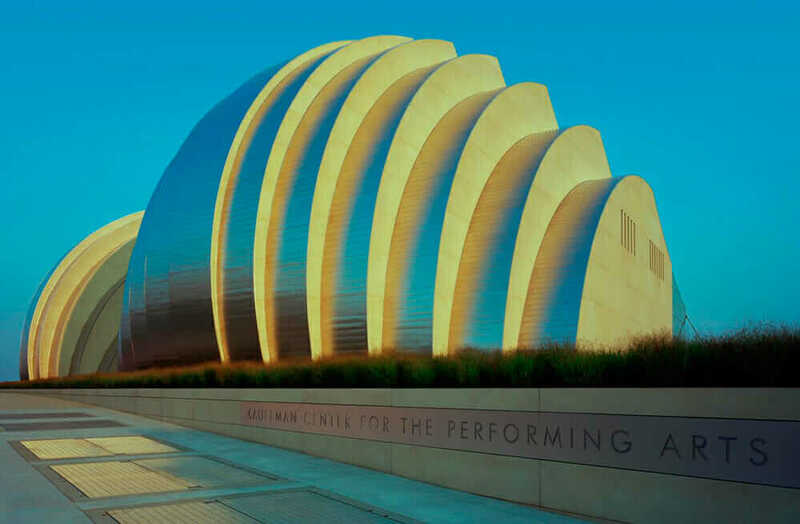 And the firm recently completed the Moshe Safdie–designed Kauffman Center for the Performing Arts (also in Kansas City), as well as the National Renewable Energy Laboratory for the U.S. Department of Energy, in Golden, Colorado, which boasts the world’s most efficient data center. Still, in this impending Era of Connection, where unprecedented information creation and access is driving increased community engagement in the building process and, in some sense, redefining the “social license to operate,” the civic center is a model of cost and time savings at the top of Jacobs’ mind.